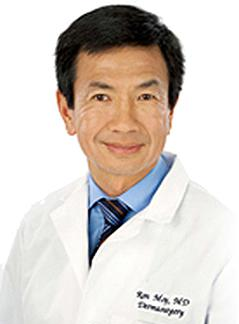 Ronald L. Moy, MD, has been in practice for over 25 years and was named one of the “Best Doctors in America” in 1999. He served as president of the American Society for Dermatology from 2004 to 2005, president of the Division of Medical quality, Medical Board of California in 2005, and president of the American Academy of Dermatology from 2011 to 2012. He’s currently on the Editorial Board of Archives of Facial Plastic Surgery and Aesthetic Surgery. Dr. Moy graduated from Albany Medical College in 1981. He completed his residency in Dermatology and Plastic Surgery at UCLA. In addition he completed a Facial Cosmetic and Mohs Micrographic Surgery Fellowship at the University of Pittsburg Center for Health Services. Dr. Moy has published over 200 articles on cosmetic and dermatologic surgery and treatment and lectures internationally on advancing surgery technologies. Some skin creams can lessen the efficacy of sunscreen, increasing your risk of sun damage. Benzoyl peroxide, an active ingredient in many acne treatments, and Glycolic acids, which are used often in chemical peels and over-the-counter skin treatments, have both been shown to negate the protection offered by sunscreen. In addition, many sunscreens are only effective at preventing one type of skin damage. The sun emits two types of UV rays—UVA rays and UVB rays. While all sunscreens block UVB rays, the rays that cause sunburn, many still allow UVA rays to pass through. UVB rays penetrate down to the deeper layers of skin and can cause sunspots, cancer, and aging. Last year, the FDA required all sunscreens that claim to have broad spectrum SPF 15 or greater to protect against both UVA and UVB rays, but there are still sunscreens that don’t protect against both. Consumers should carefully read the labels to see what level of protection they’re getting. Dr. Moy is an advocate of maintaining beautiful skin without surgery. He supports using a comprehensive approach to skin care. First supplement your body’s own supply with serums and creams fortified with DNA repair enzymes from natural plant sources like plankton. Second, avoid post-sun regimens that could damage your skin long term. “Exfoliation temporarily improves the skin’s appearance, but repeated peeling may make you more susceptible to deeper damage,” Dr. Moy explains.